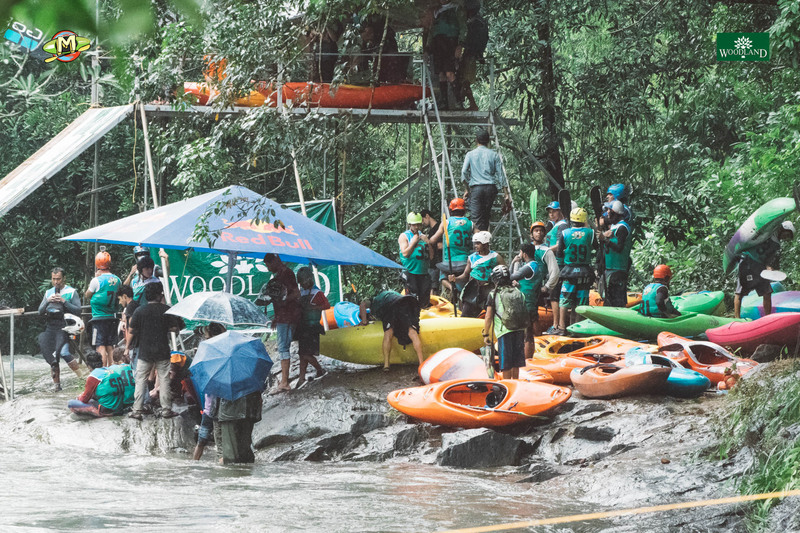 Day Four of the Malabar River Fest may have had a slightly delayed start, but the BoaterX was worth the wait for athletes and spectators alike. 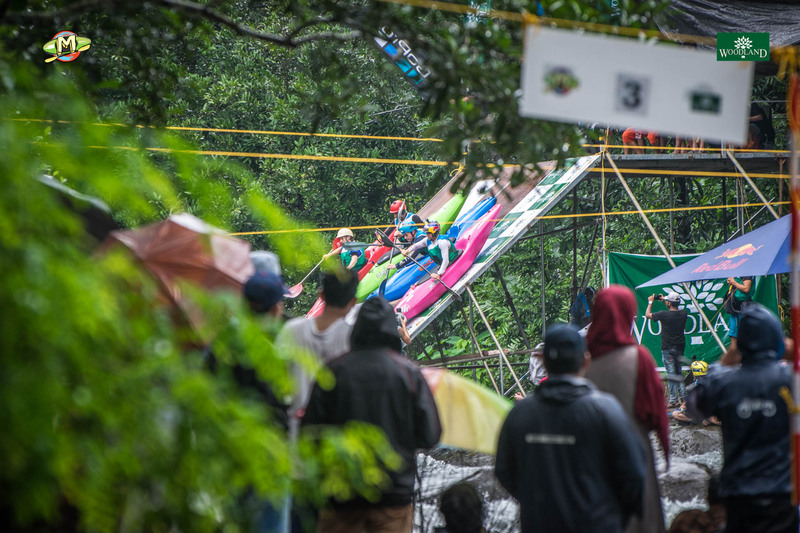 Ten heats of four to five paddlers perched atop the 15-foot ramp where GoPro and Woodland banners dripped with rain. 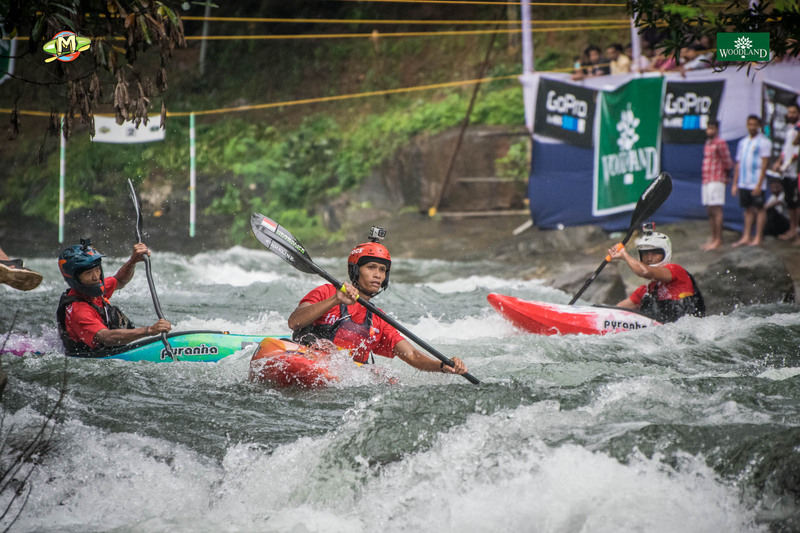 At the word, ”Go,” they simultaneously launched themselves into the current on the lower Chalilpulzha to battle it out in race after heated race. 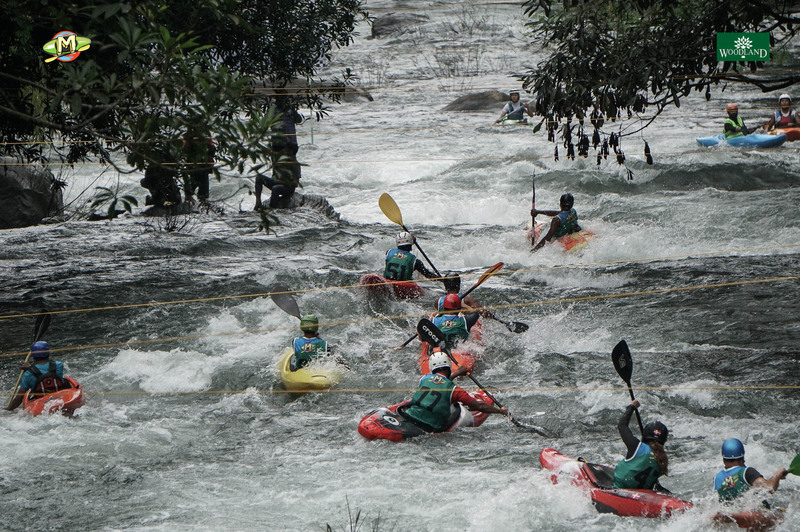 A mandatory right followed by a mandatory left at the start provided plenty of time for competitors to tangle before catching an eddy on river right. Inside the eddy lay a Malabar River Fest banner that boldly proclaimed, ”Touch Me, ” where racers had to smack the banner with their hands. It was here that days were made and hearts were broken as athletes fought to be first in, touch, and be the first one out. 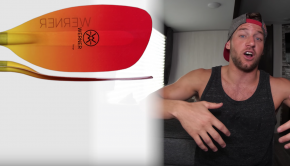 Sterns tangled, bows smashed into each other, and athletes clamored for the pole position. 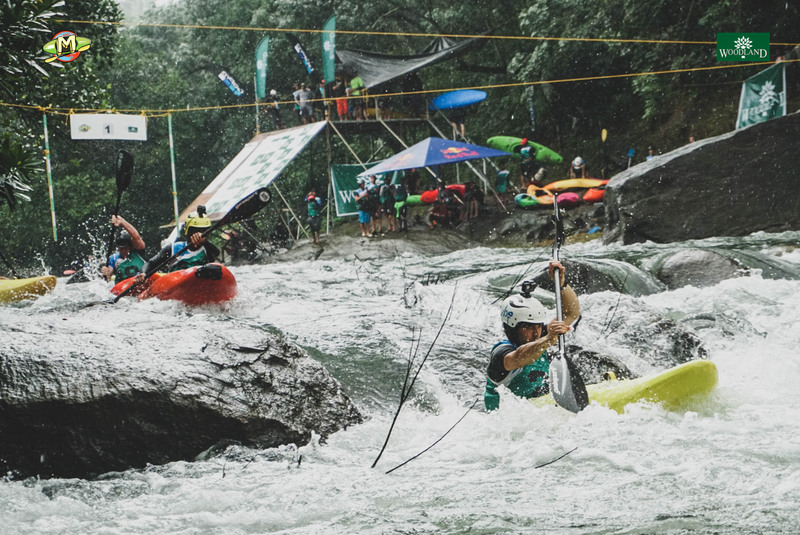 A quick ferry above a small slide and one more mandatory left gate waited before the Red Bull Finish Banner further downstream, allowing for a few last minute change-ups and some surprising finishes. Kiwi Phil Boorman provided good banter as he narrated the day and the moves play by play. 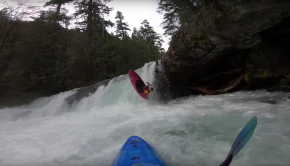 Even among a diverse and talented field, New Zealand’s Mike Dawson stood out. 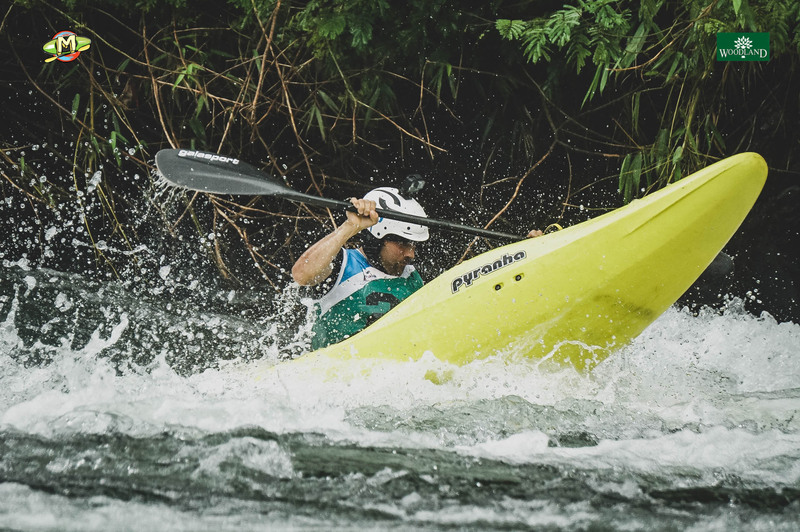 The Kiwi was fast and smooth, every stroke pulling him ahead of his competitors and into his second First Place finish of the competition. The women jostled and dueled it out from start to finish, though it was Martina Wegman of the Netherlands who took the win. 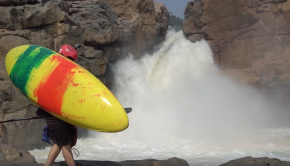 It was everything a BoaterX should be. Racers put it on the line and gave it their all. 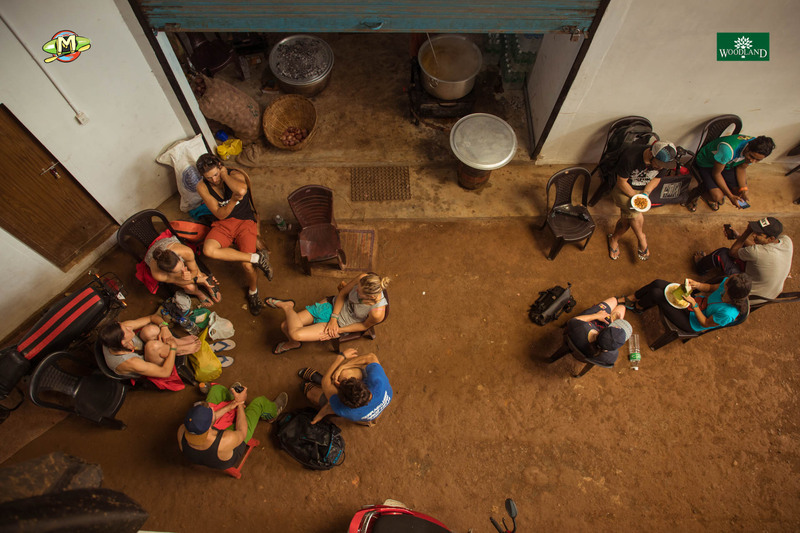 Though a few small dog fights ensued, the overall vibe was friendly and supportive, with no-one out for blood. 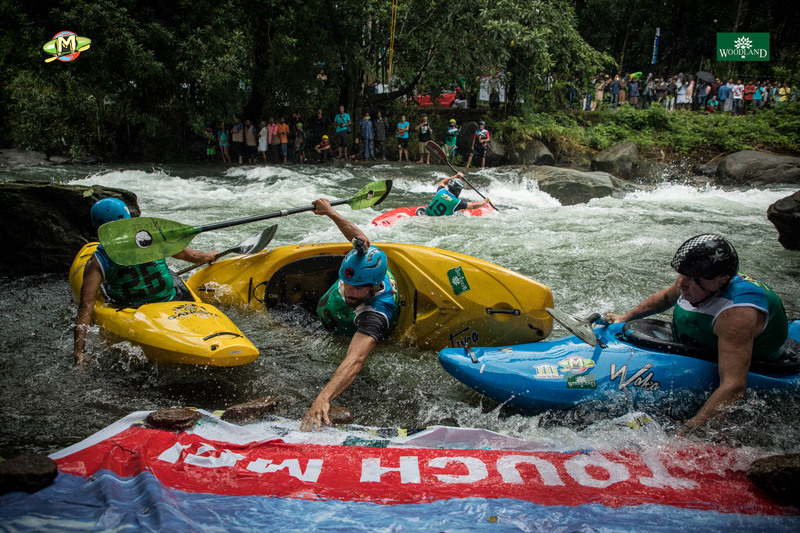 Racers waited in the eddy below once they finished to set safety, watch the carnage and cheer each other on. 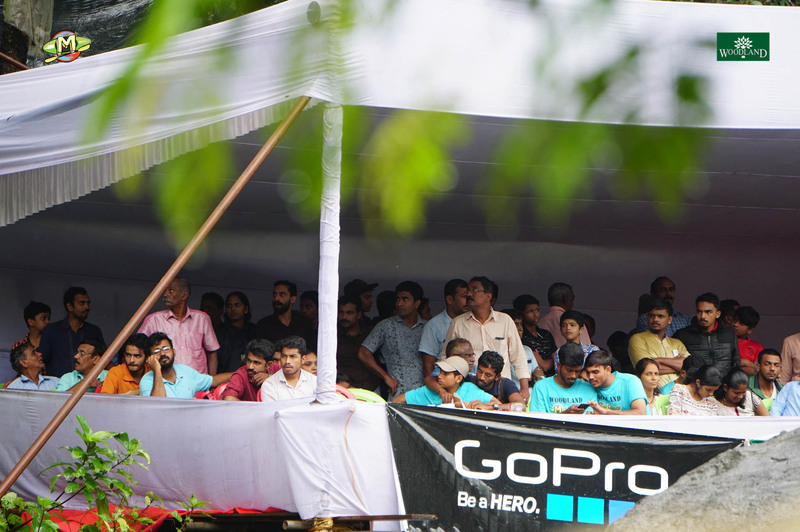 The stands were packed with people, and it was necessary to duck past a wall of umbrellas to get the best view from shore. 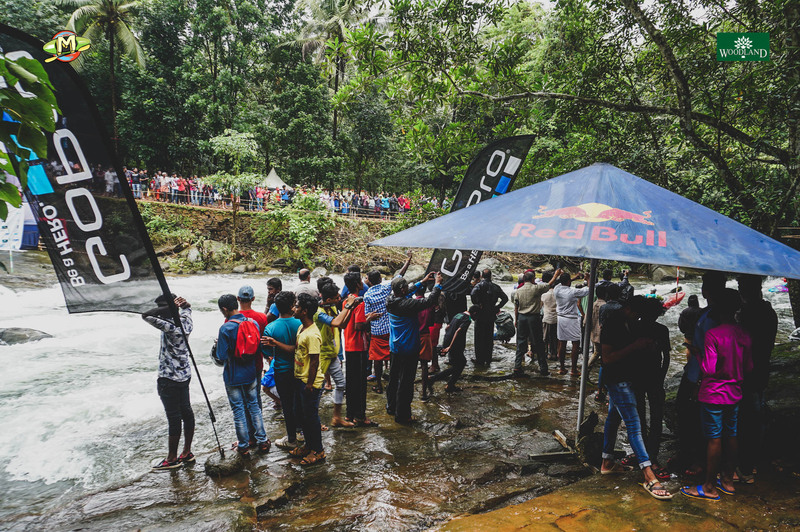 Phones were on display, the numerous locals fighting battles of their own on the muddy path as they tried to take photos with their favorite racer. 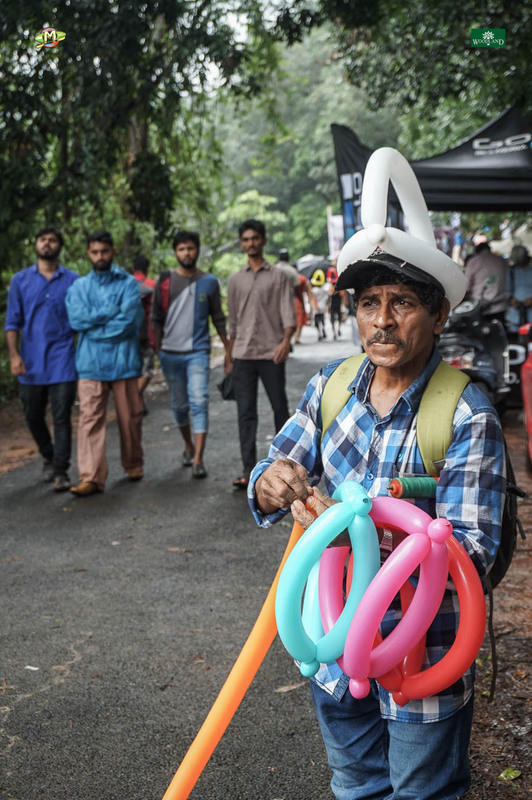 Balloon hats sported by spectators of all ages added a light-hearted vibe to the day and kept everyone smiling. 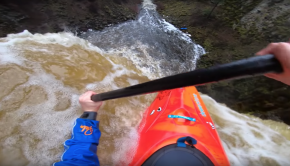 Though only the top 32 finishers in Friday’s Pro Slalom qualified through to compete, there was a mass-start race following the Pro Slalom Finals where the remaining Pro Class racers had the opportunity to win a GoPro Session camera. 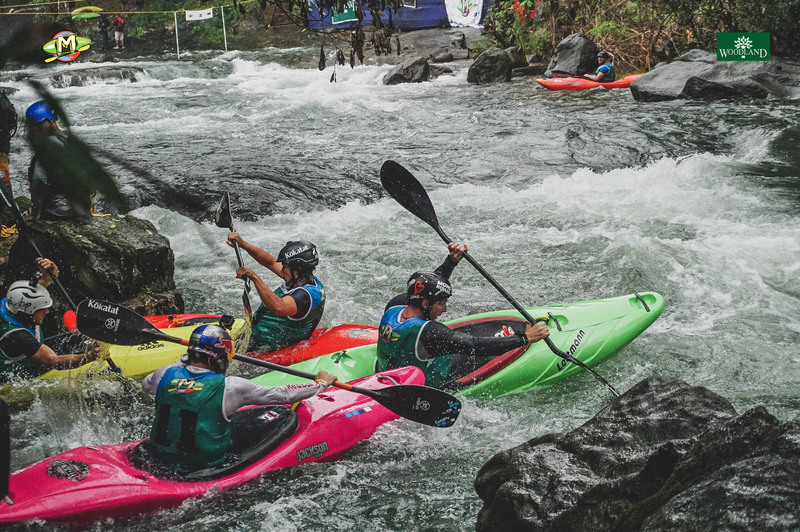 With over ten individuals going full throttle, it was perhaps the most competitive race of the day. 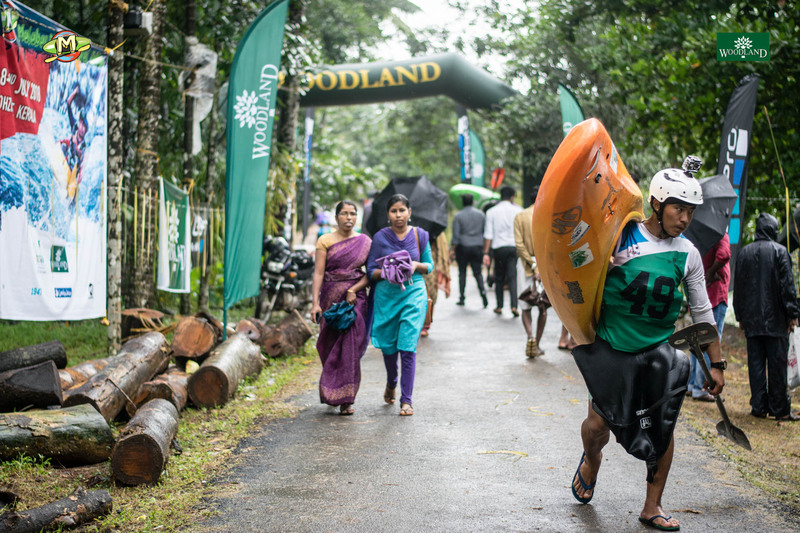 Sagar Gurung of Nepal was the lucky winner, just edging out Phil Boorman. 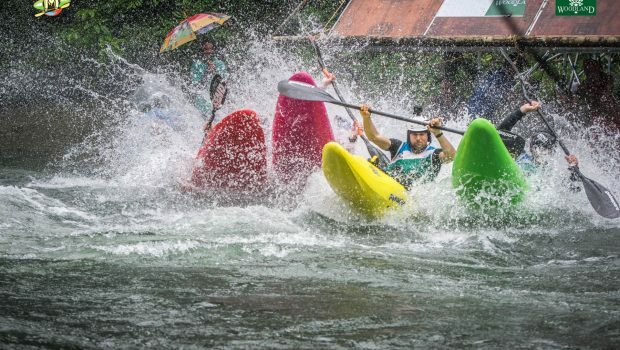 The day finished with the Intermediate Class BoaterX, where more than forty paddlers from all over Asia competed against each other off the same ramp and on a similar course to the Pros. 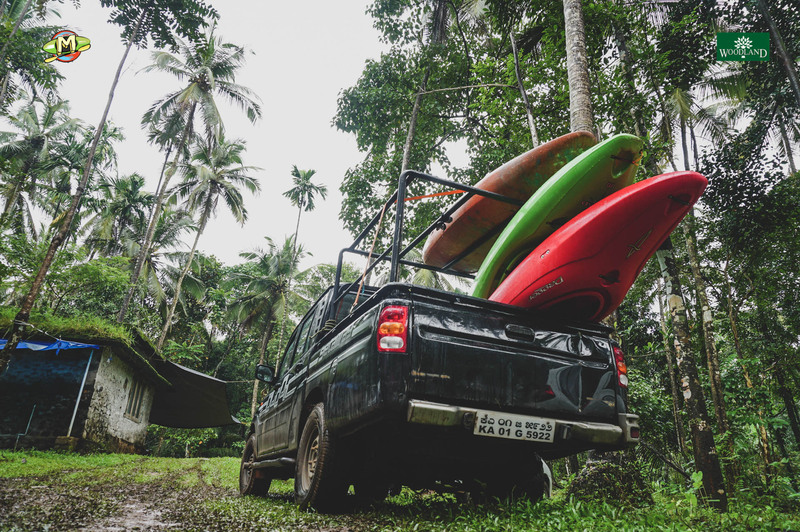 The ongoing development of the local scene was evident, as was the nascent talent of these up and coming paddlers. 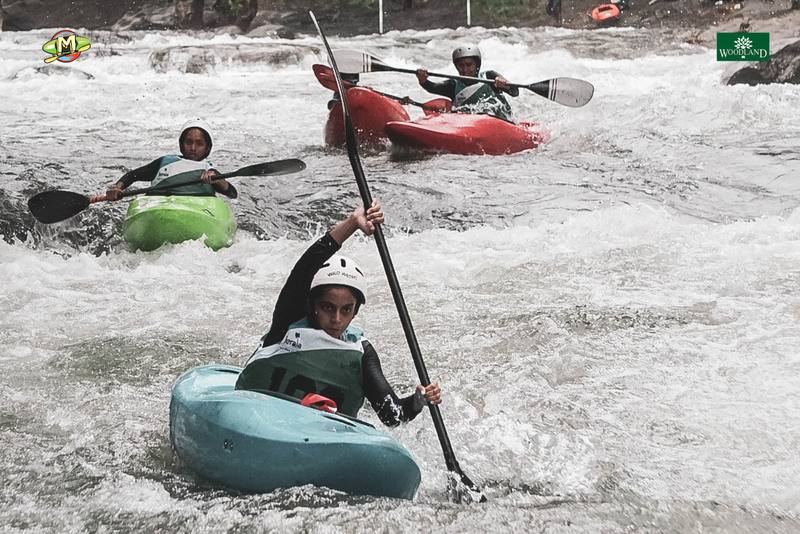 With events like the Malabar Fest to help hone their skills and provide an opportunity to interact with the global whitewater community, it is certain we will see much more from many of these young faces in the near future. 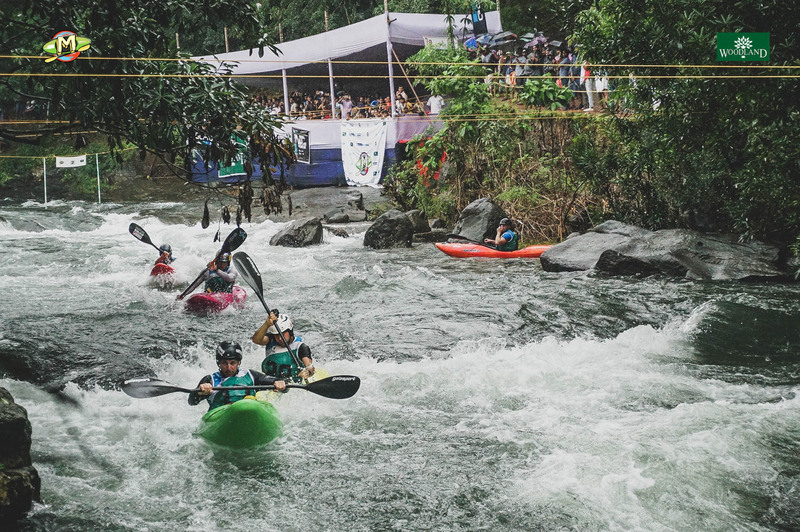 Though only one day of Asia’s largest whitewater festival remains, the last four days have been a prime example of what can happen when a community works together to bring a dream to fruition.